Coral Reefs are one of the most important Ecosystems on our planet. They are also one of the most beautiful places on this earth to visit as any Scuba Diver, Free Diver or Snorkeler will tell you. Their stunning in photos, documentaries and films, but to experience their beauty with your own eyes is an experience that will never leave you. So it is important that we all contribute something to the coral reef conservation to prevent the death of the corals. In the Coral Triangle and the Birds Head seascape, here in Raja Ampat, are the world’s largest number of Coral species. Approximately 65% of all coral species identified can be found right here. Its rarely understood the vital role that coral reefs play in the survival of many other plants, organisms and animals on this earth. 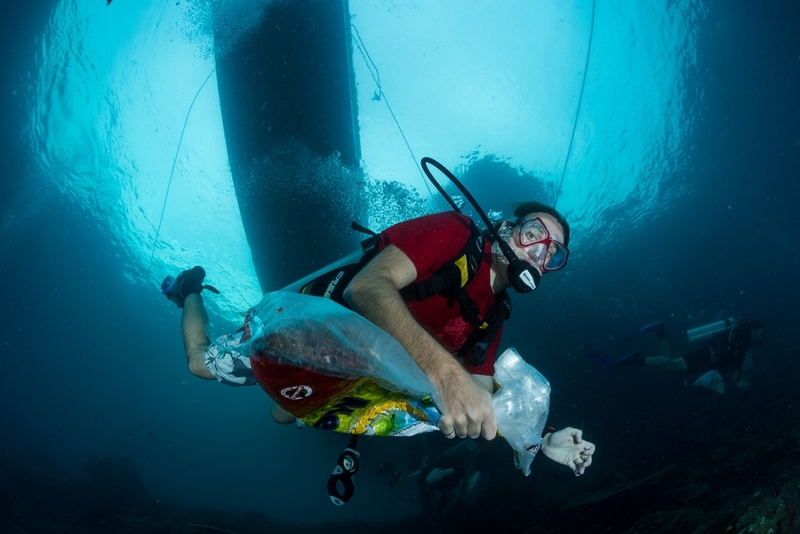 They are living communities which play a myriad of roles for thousands of marine animals and humans. They form a symbiotic relationship with photosynthetic algae known as Zooxanthellae, its this relationship and photosynthesis that produces oxygen. 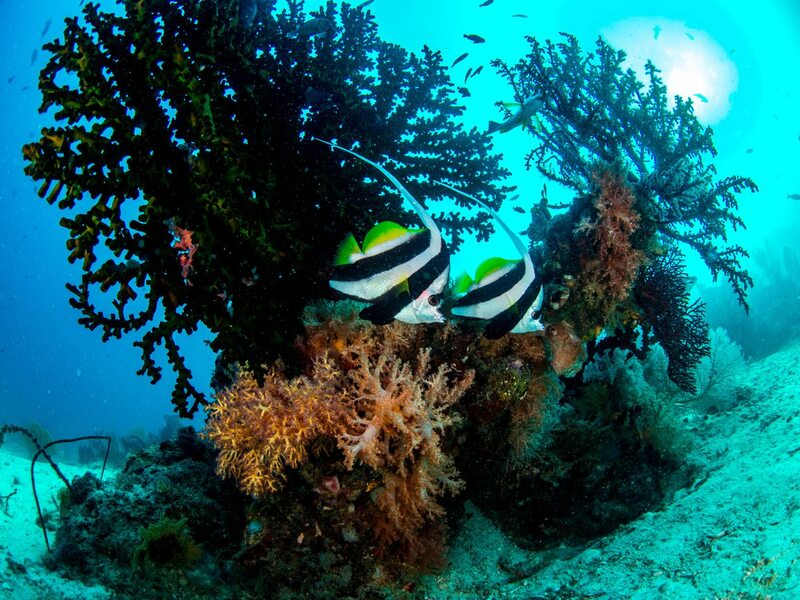 Reefs provide shelter and protection for tens of thousands of marine animals. 1/3 of all marine fish species spend part of their lives in coral reef systems. They are important in medical research with coral compounds, they are used for the treatment of Cancer, Bone Grafts, Bone metabolic disorders to name a few. They provide local communities with income in the form of tourism with recreational divers and snorkelers visiting the reefs. Depending on what literature you read it has been estimated that we have already lost between 10-30% of our coral reefs already. It is predicted that around 60% is considered to be at high risk due to human-related activities, some of these human threats are: Coral mining, agriculture and urban runoff, Overfishing and blast fishing, disease, Sea temperature rise, Sea Level rise and ocean acidification. The last three being associated with the effects of greenhouse gas emissions. From the actual status, the Future of our coral reefs is in the balance and we believe that there is still time to make a difference and do something for the coral reef conservation. It is believed that the corals here in Raja Ampat are more resilient to temperature change and that they should survive in higher average temperatures. This places us in the worlds key area for coral conservation. We only buy Line caught fish and no reef fish. Biodiversity Eco Resort started its first coral nursery in July 2016. Initial results showed our house reef to be an ideal location in which to grow corals and do. To start with the coral reef conservation our first phase of the project was to provide a better environment for broken coral fragments to grown. This proved to be a great success and we developed the nursery to grow coral that was fragile from healthy corals that had survived the increased temperature we saw in November and December of 2016. be temperatures. 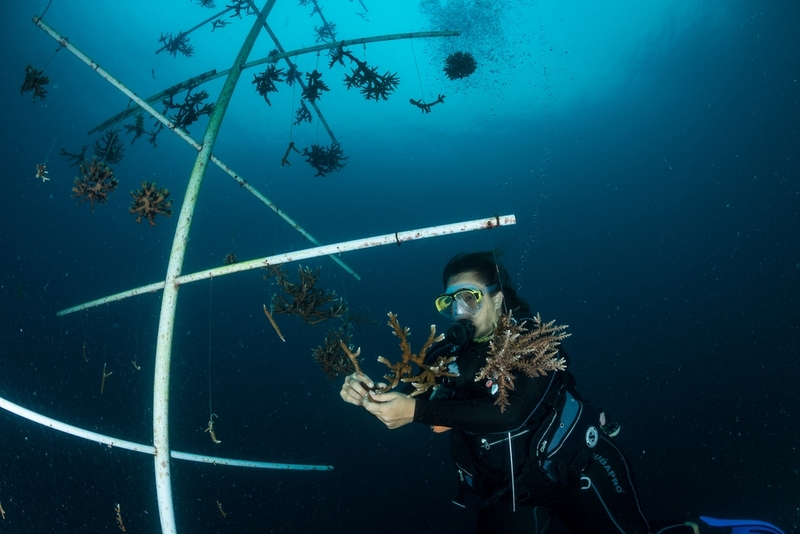 A new larger tree was designed and became the new platform for both rescue corals and healthy coral fragments. The healthy staghorn coral species, which were placed on the tree in January 2017 is growing very well and with a rapid rate. We estimate that within the year they will be large enough to transplant back into the reef. This inspired us to start the design of an artificial reef, where we will be able to attach our nursery-grown corals and see how well they develop in the artificial reef. 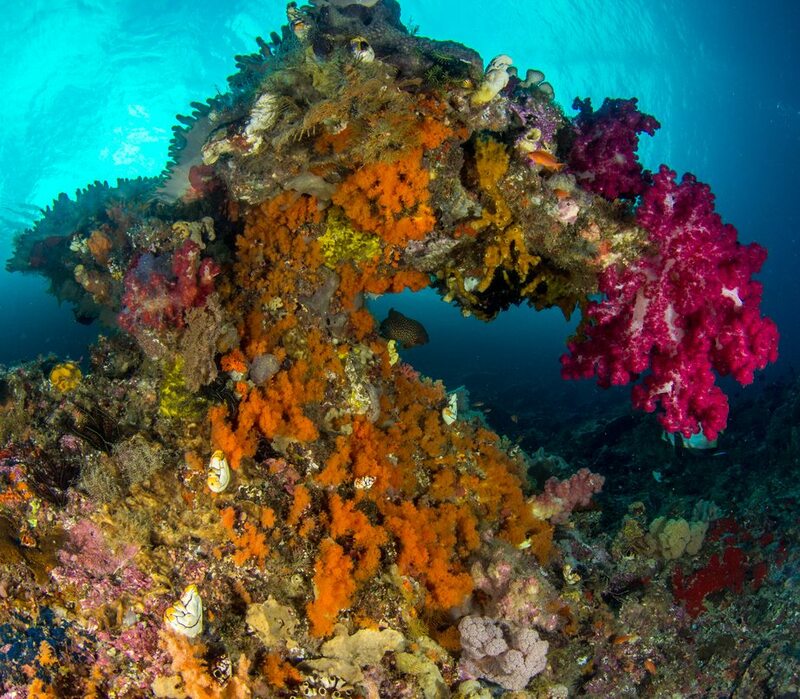 Future plans for these projects are to be able to provide others with a working model and system that they can implement in these coral reef conservation efforts in Raja Ampat. The plans for the artificial reef will be to test which model works best.Then we can use this model to build more artificial reefs in areas where the corals have been damaged by dynamite fish or boat damage and begin the restoration them. Please have a look at our Blog for coral nursery updates and reports.